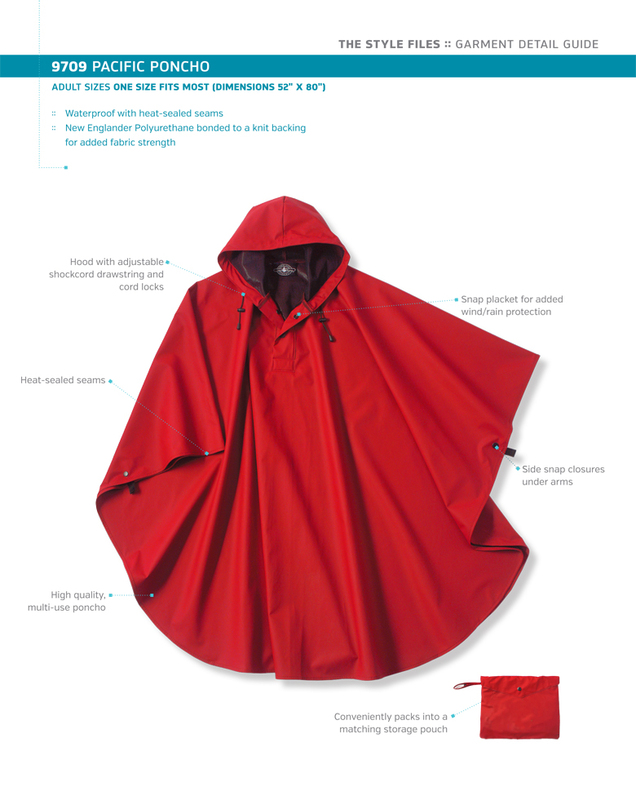 Red lifeguard poncho. Made of lightweight, waterproof polyurethane with polyester knit backing. Complete with “GUARD” lettering. Comes packed in its own pouch. Front placket neck opening with snap closures. Do not machine wash. Wipe Clean with damp cloth. Line dry away from heat. Do not dry clean. Do not iron. Do not bleach. Pros: Best waterproof cover-up with a hoodie for the humid Florida rain showers. One-size fits all is a plus for a tight budget and is a medium weight material. Tried other jackets, but were too thin/too thick/flimsy/broke easily/or had no hoodie. This one is best for your money. Cons: Cannot machine wash. Instructions say to "wipe clean". So they start to smell due to sunscreen and body odor. I hand wash and line dry.